Creating a successful dental practice is a huge point of pride for most professionals. But that doesn’t mean that they want to bear the burdens that come along with ownership for the rest of their lives. 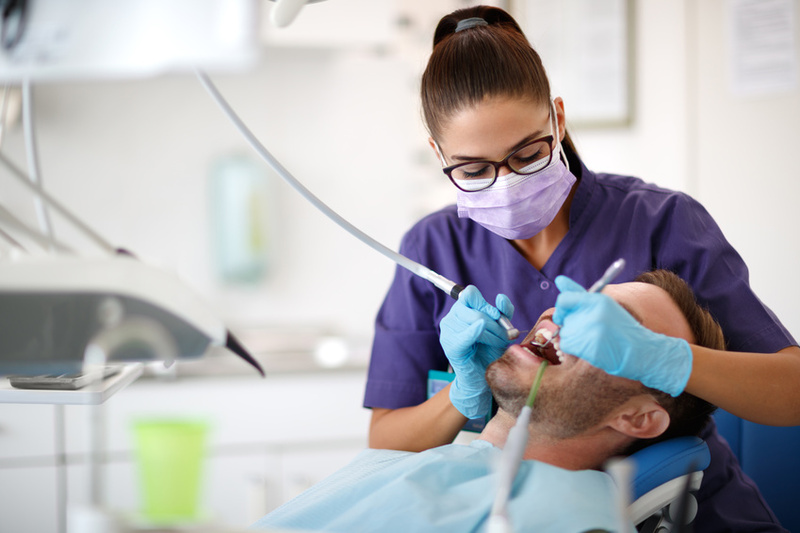 When dentists plan to retire or want to pursue other passions, they may opt for a dental practice transition that allows the business to continue on — whether or not they themselves continue to be involved. This is often the best option, as you may be able to negotiate an agreement that can offer significant value to you in your twilight years or a deal that can provide ongoing employment for your staff. That said, making a successful dental practice transition requires flexibility and expertise. If you are too rigid in your expectations or attempt to cut corners, you could end up in a situation that benefits no one. To avoid these mistakes when it’s time to sell your dental practice, you’ll want to take this post to heart. Here are some of the most common pitfalls to watch out for. In reality, this is one of the most prevalent problems that occur during the dental practice transition process. In 2017, the average retirement age for dentists was 68.9 years old. But as dental practice owners reach that age, they may not be truly ready to give up their place within the practice. Even if a dentist has the financial means to walk away from the sale and never practice dentistry again, the emotional attachment may be too strong for that individual to be objective or reasonable, causing deals to fall through and potential partnerships to crumble. In many cases, having to let go of both ownership and profession at once can simply be too big a change to face. This can cause a dentist to make unreasonable demands as part of the transitional agreement. Not only will this cause the sale to be held up or to be canceled entirely, but it will translate to a lot of time and money wasted for all parties involved. Making the decision to sell one’s practice should not be taken lightly. Before you decide to find a buyer or draw up an agreement, be certain that you’re ready for all of the life changes this will bring. If you attempt to sell before you’re actually ready to, you’re more likely to have a negative experience. Many dental practice owners believe that their practice should be valued at a much higher price than what the market will bear. It’s even more common for dentists to believe that the sale of their practice will be all that’s needed to fund their retirement. Unfortunately, this confidence is often misplaced. Data from the American Dental Association suggests that the vast majority of dentists do not have adequate pensions that would financially support them in retirement. It makes sense as to why dentists would hang all their hopes on the sale of their practices, but sadly, this most likely will not be enough to provide for all of your costs once you retire. In fact, your practice could be worth far less than you’d assume — and without knowing this information early on, you could find yourself in a precarious situation once you decide to sell or are forced to retire. That’s why having a dental appraisal performed is so essential. If you don’t know exactly what your practice is worth, you won’t be able to properly plan for the future. With the knowledge a formal dental practice appraisal can provide, you’ll be in a better position to make sound financial decisions. In addition, you’ll be able to draw up a fair agreement and feel confident in knowing what your practice is worth. That can make it so you won’t feel pressured to settle for an outrageously low offer. Many dentists believe it’s best to find a younger partner or associate with whom to share their practice, in the hopes that this individual will want to take on total ownership once it’s time for the older partner to retire. That might be the preferable scenario — and sometimes, it can work out just fine — but it’s always in your best interest to enter into professional relationships with all agreements in writing. If you hire an associate and attempt to dangle practice ownership in front of their nose with no formal agreement from the start, this can be a detriment to both parties. It’s far better to work out the logistics from the beginning. Otherwise, the relationship could end on bitter terms. Verbal agreements may technically be binding in many cases, but the only way to ensure everyone is protected and that details are hammered out is through a contract. That way, each party knows where the other stands and there will be no misunderstandings or disagreements later on. The last thing you want to deal with during this transitional period is more stress. By planning ahead and working with dental practice transition consultants to work through those important details, everyone will benefit in the end. It can be difficult to avoid these pitfalls when you don’t possess the professional expertise. That’s why working with a with dental practice transition team will be extremely advantageous. To find out more about how we can assist you during this process, please contact us today.